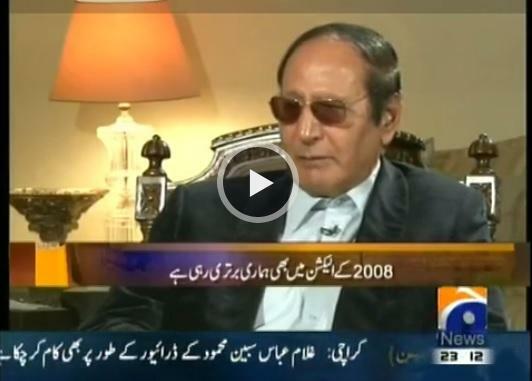 Chaudhry Shujaat Hussain, a political icon in Pakistan, has a political career stretching over 25 years and belongs to a family that has always supported military rulers. although he is generally perceived as somewhat politically inarticulate and suffering from poor health, he has nevertheless proved himself to be a politician. Today, he is not that popular as he lost in the recent General Elections but he is still determined to serve Pakistan with more commitment and dedication. His family had no political background until father Chaudhry Zahoor Elahi, a lower middle class man, became a local councillor in the early 1950s. The family is now an industrial powerhouse, involved in sugar, textiles, flour mills and agriculture. Elahi connected his family to the elite of the country through a web of marriages. The family was always prepared to join hands with military rulers, serving Gen ayyub Khan (1958-68), Gen Zia ul-Haq (1977-88) and now Gen Pervez Musharraf (since Oct 1999). 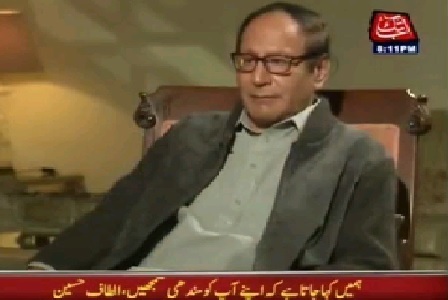 Chaudry Shujaat Hussain was born on January 27, 1946. He Graduated from Forman Christian College, University of Punjab in 1967 and obtained degree in Industrial Management Course from the United Kingdom. 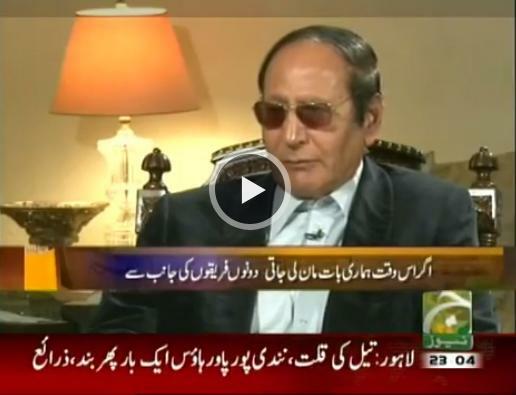 Chaudhry Shujaat is heading the Pakistan Muslim League (Q). He belongs to an influential political family. His father late Chaudhry Zahoor Elahi was a seasoned parliamentarian who played a major role in restoration of democracy and human rights in the country and was awarded \\\\\\\"PRISONER OF CONSCIENCE\\\\\\\" by the amnesty International. Late Chaudhry Zahoor Elahi was assassinated in a terrorist attack on 25th September, 1981. He entered politics in the year 1981 and became Member of Federal Parliament Majlis-e-Shoora (1982-85). 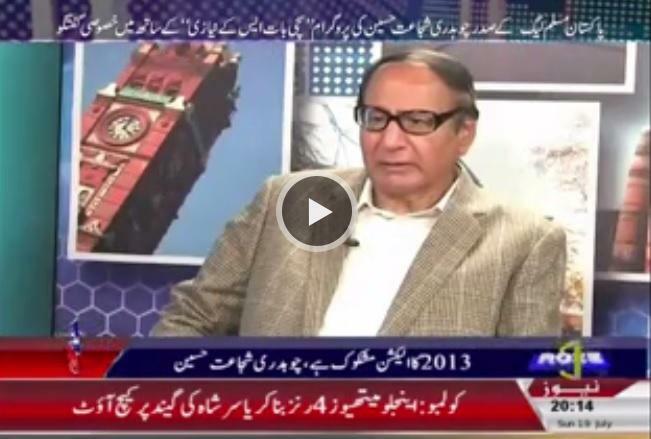 Chaudhry Shujaat Hussain has held many a portfolios of Federal Ministers in his political career. He has remained â€œMinister for Information & Broadcastingâ€ (1986), â€œMinister for Industries & Productionâ€ (1987-88), â€œMinister for Interiorâ€ (1990-93), and â€œMinister for Interior & Narcotics Controlâ€ (1997-99). He was Leader of the Parliamentary Party of PML in National assembly of Pakistan during 1985-86. He later led the Opposition Parliamentary Party in National assembly from 1988 to 1990. 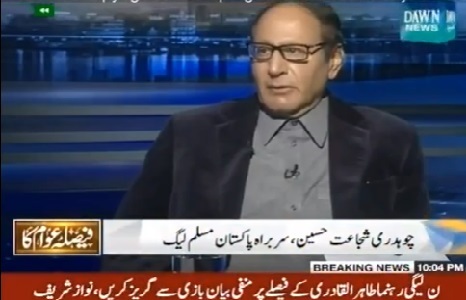 Chaudhry Shujaat was elected Senator in February 1993 and remained so till 1997, where he was Chairman, Senate Standing Committee on Defence, Defence Production & aviation. He became President of Pakistan Muslim League, Punjab in 1997. 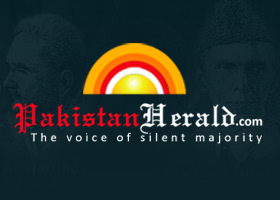 He then became â€˜Member of the National assemblyâ€™ in October, 2002 and his party PML (Q) formed the Government. He was leader of the PML (QA) parliamentary party in the National assembly. He became the President of Pakistan Muslim League (QA) in January, 2003 and on May 12th, 2004 he was elected the President of Pakistan Muslim League (Q). 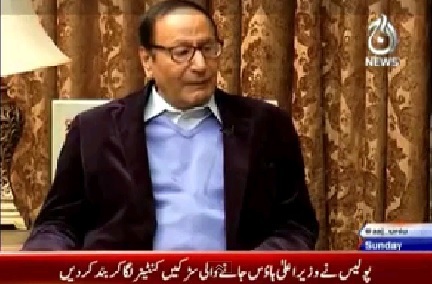 Chaudhry Shujaat Hussain became the Prime Minister of Pakistan for a short tenure of three months. He remained Prime Minister from June 2004 to august 2004. He resigned in august 2004 as Prime Minister to devote full attention to his party as President. i like u and ur party u should do issues politics & u should give punishment to lota's . Salam I think, we need to see the persons their act and deeds and I think that Mr. Shujaat Hussain is above from other so called famous leaders. Such Nawaza and Asif Ujaradari. Whose sole purpose is to loot money of ppl of Pakistan and make palaces in other countries. Also, will someone would like to tell me that How many visits made by Shujaat of other countries and by others such as nawaza and ujaradari. How many palaces he owns outside Pakistan? How many factories he has in other countries? Please let me know too. he and his qatil league is responsible for the current situation of pakistan. they are the one who support Musharraf in his illegal and unjustified actions in balochistan, fata, lal mosque and jamia hifza. this nation will never forgive you and your family chaudhry saheb. uncle ab samosay and pakoray bananay ka diploma ker loo kuonke yehi appka caliber hai aur iss mein tum buhat tarqee keroo gay. 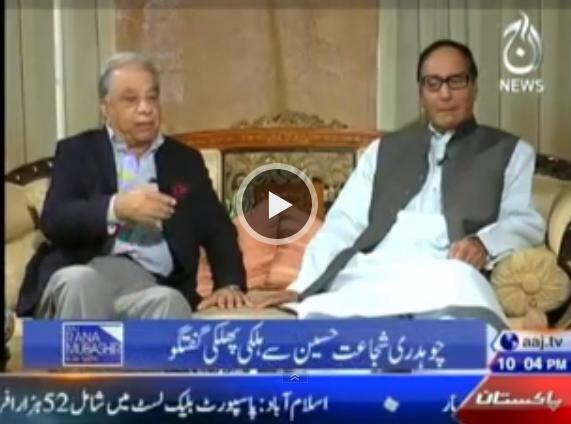 "CHAUDHRY SAMOOSA HOUSE"
Exclusive Conversation With Chaudhry Shujaat Hussain Former PM of Pakistan and Senator Dilawar Abbas PML-Q. 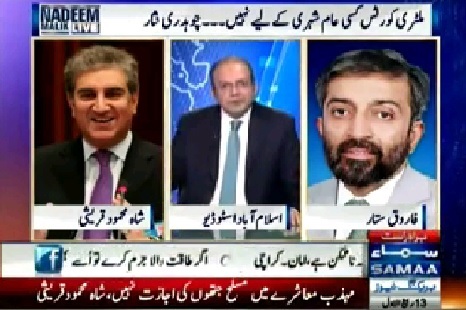 Who will win NA-149 by-polls? Islamabad protests: The crackdown begins! Mid-term election: Resignation of Nawaz Sharif....How?? 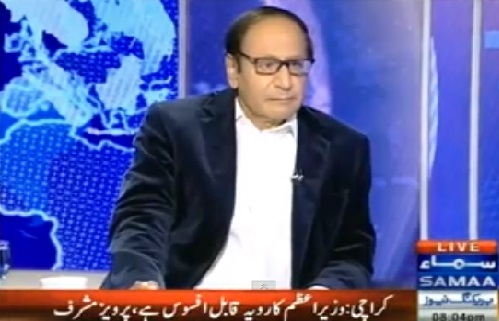 Topic: Pakistan''s weak protest infront of American government.